It has been a beautiful, fun-filled day so far. 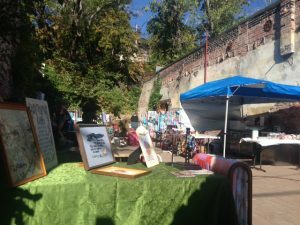 The The Ol’ Dunsmuir Faire was a smash hit. The general consensus from vendors and attendees is that it was very enjoyable experience. 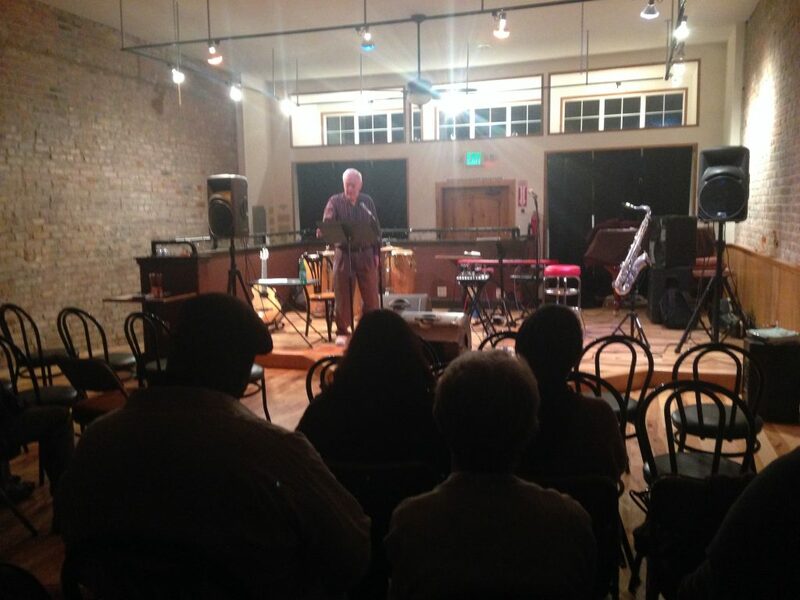 Wild Roots concerts at Pops was super fun. 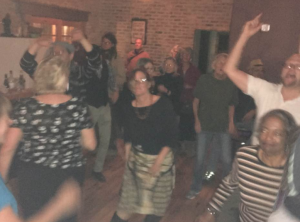 While it was a kid’s concerts, it seemed the parent’s had even more than the kids. Scott Silbert with Mitch Ross on drums was perfect in every way. And, at everyone’s favorite store, The Dunsmuir Hardware. The grand opening at Dunsmuir’s Mossbrae Hotel was elegant, breezy, social and fun. The Lone Arranger reverberated sweet sounds throughout the lobby. The Benny Goodman Egg special at the Cornerstone was delicious, as were Rick Garrett’s guitar melodies. Now onward to the Wine & Paint evening happening at Yolanda Kurger eXp Realty. The theme is saxophone and sunflowers, but, of course, paint what you like. Jefferson Justice will be playing at the Dunsmuir Brewery and Terry Robb will be playing at Pops Performing Arts & Cultural Center. 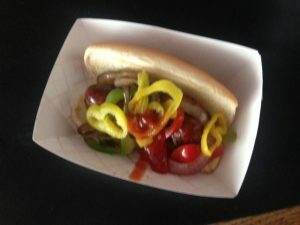 Crave’s Barbecue in the courtyard at Pops will be open from 4 pm tonight through out the remainder of tonight’s Terry Robb concert at Pops Performing Arts & Cultural Center, as well as tomorrow’s concert with The Charles Valona Trio and Allison Scull & Victor Martin and the Midnite Band. 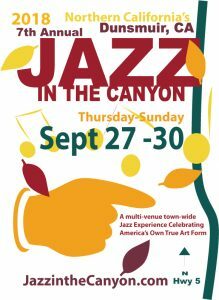 We’ve been working fast and furiously on 7th Annual Jazz in the Canyon. The posters are ready (Thanks, Suzanne). And, if you want to help spread the word by posting a few, click here for printable pdf or click the image below. Updated flyers and graphics are available on the Maps and Flyers tab for anyone’s use who wants to spread the word. And a flyer with the completed schedule will be available from this website in a few weeks. Please feel free to spread the word. Thank you all for participating. 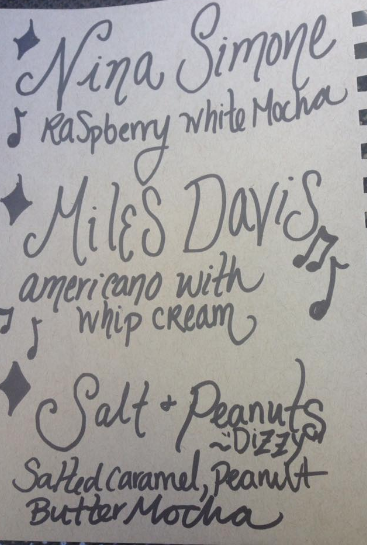 Dunsmuir’s All Aboard Espresso joined in the fun! Jazz in the Canyon has begun. 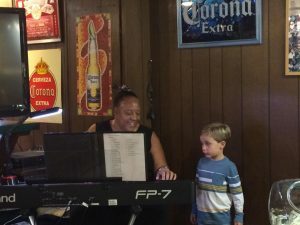 Thursday, September 28, Sylvia Hill played beautiful keyboards at the Pizza Factory! 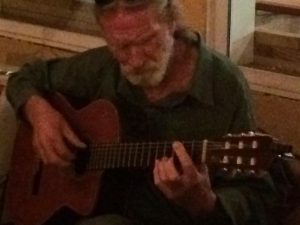 Rick Garrett grooved at the Dunsmuir Brewery on the patio. A beautiful start. 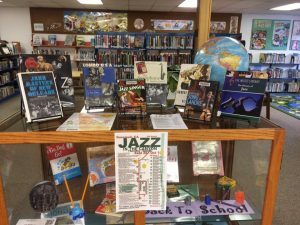 The Dunsmuir Library put together two book displays on Jazz! One for kids and one for adults. Check it out it’s really worth seeing. 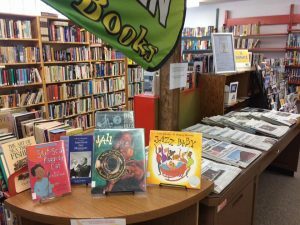 Tomorrow there will be music show especially for kids at Pops Performing Arts & Cultural Center at 1 – 3 pm at 5819 Sacramento Avenue in Dunsmuir, CA.